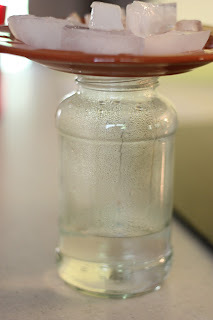 Making It Rain: Rain Cloud In A Jar - I Can Teach My Child! Due to Big Brother’s fascination (and fear) of various types of weather, I thought now would be a great time to start a new Weather Thematic Unit. We’re not forecasted to receive any rain for the next couple weeks around here (which we desperately need), so perhaps our little experiment will rub off on the weather! This water cycle project idea (and many others that we’ll be trying) came from Weather Wiz Kids. Take a look at the site (created by a meteorologist), it’s got tons of great ideas! 1. Heat your water until it is steaming. 2. Pour the hot water into a jar until it is about 1/3 filled. Put a plate on the top of the jar. Wait a minute or two before the next step. 3. Put the ice cubes on top of the plate and watch closely to see what happens inside the jar. 4. Streaks of water will run down the side of the jar, making rain! Wonder what makes it rain… Go here under “explanation” to find out! This post was first published June 2011. Updated 2018. A colorful and wonderfully-illustrated book for young readers, simple and repetitive! We are in a drought and burn ban. Going to do this tomorrow after church since we need some lol. I am sorry that you did not have a good experience in school, but many teachers I have the experience of knowing do teach this way. that was the worst ever it didn’t work at all. You need to look at the bottom of the plate inside the jar. 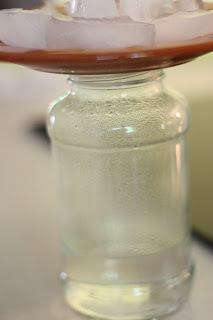 Look closely, as water vapor condenses to form water droplets on the bottom of the plate inside the jar. For more of a visual instead of a plate put plastic wrap over the top of the jar and seal with tape or a large rubber band. You will really see the condensation on the plastic wrap. Do not be so quick to judge until you fully understand the experiment. This one does work and it teachers the water cycle process. You need to look at the bottom of the plate inside the jar. 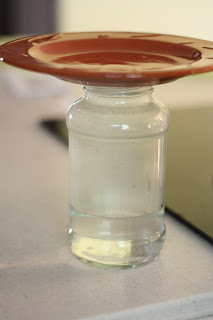 Look closely, as water vapor condenses to form water droplets on the bottom of the plate inside the jar. For more of a visual instead of a plate put plastic wrap over the top of the jar and seal with tape or a large rubber band. You will really see the condensation on the plastic wrap. Do not be so quick to judge until you fully understand the experiment. This one does work and it teaches the water cycle process. This was the worst experiment ever. You don’t even need the ice, it is just the water from the steam rolling down the sides of the glass jar. Wonderful website you’ve got here. So cool. I have it down for this weeks letter of the week science project. R for Rain. Hi Jenae! I love this project for teaching about part of the hydrologic cycle. 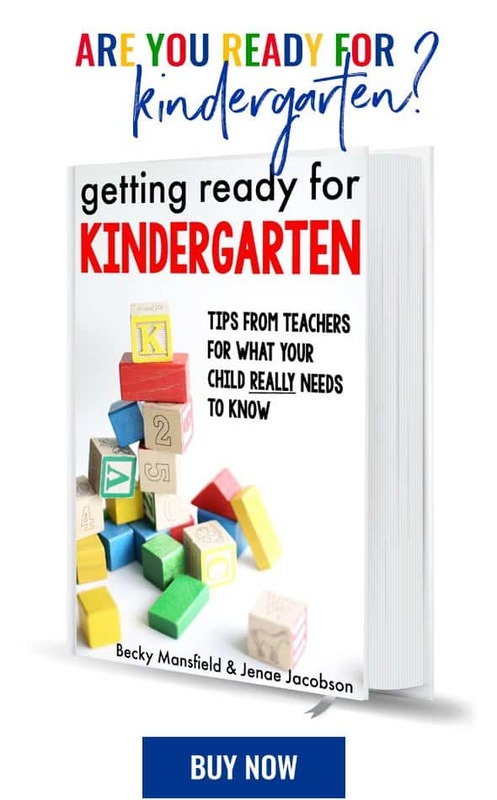 I put a link to it in my latest blog post to share with my readers (thank you!!). I love your blog! !